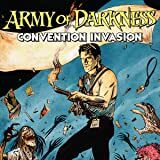 Collects Army of Darkness Vol. 2 #1-4! 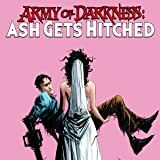 Dynamite proudly presents the return of Ash and the Army of Darkness! 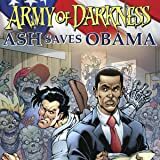 Fresh from the Marvel Zombies vs. AOD Cross-over! -- well, not "minty" fresh, but fresh enough -- from his appearance in the Universe of the Marvel Zombies, our un-intrepid hero has returned to his own world -- but what a world it's become! 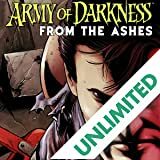 Evil Ash and his Deadite hordes rule the land and everywhere Ash turns is filled with mutants and monsters! 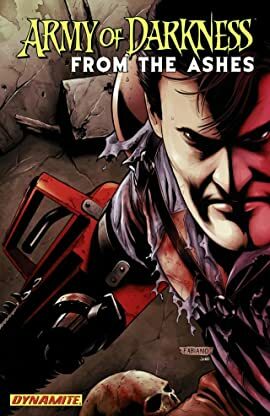 Can Ash J. Williams gather his "chosen" and take down the Deadite hordes and restore order to the world? Read on and find out! 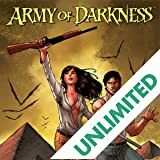 All the action and post-apocalyptic excitement is collected here for the first time and once again brought to you from the creative team of James Kuhoric and artist Fernando Blanco and features a stunning painted cover from Fabiano (Marvel Zombies vs. the Army of Darkness) Neves! This TPB Collection also features a complete cover gallery featuring the work of Neves and Arthur (Marvel Zombies) Suydam!